A simple question to help unravel complex problems. Comprised of only three letters, this small but mighty word carries much more weight than we dare to imagine. Let’s explore this further through a mini exercise. Step One: Think about an obstacle you faced recently or an internal dilemma that’s been a source of struggle for some time. Close your eyes and transport yourself to that space immersed with thought. Seriously, take a moment to not only think, but also allow yourself to truly feel those feelings evoked by thought. Clearly identify the challenge(s) or pain point(s) — and candidly ask yourself — why? There is no right or wrong answer, and if you’re someone who suffers from analysis paralysis and has a tendency to overthink everything, go with your gut and stick with the first why that comes to mind. Step Two: With your answer in hand, dig a little deeper and ask yourself why?once more. Steps Three-Five: Now do it again…and again, and again, until you have asked yourself this harmless little question five times. How do you feel? Did you learn anything? 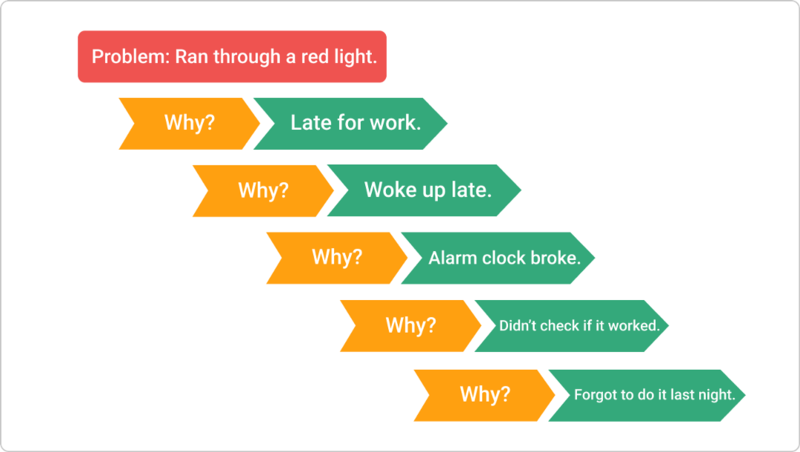 The Five Whys is a powerful technique and critical problem-solving component for systematic root cause identification. 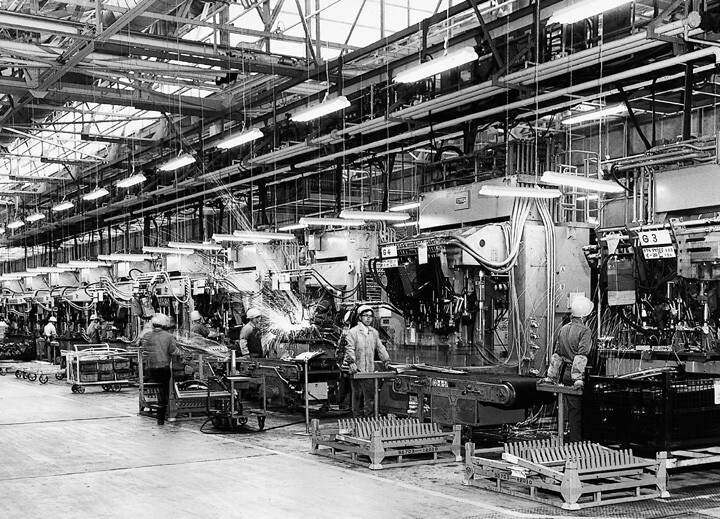 This approach was originally developed by Sakichi Toyoda and further refined by Toyota Motor Corporation for problem-solving training and as the basis for the Toyota Production System in the 1950s. With widespread use far surpassing Toyota in the past 60 years, the tool has gained immense popularity, including application within lean manufacturing and six sigma. Toyota’s website cites Taiichi Ohno, pioneer of the Toyota Production System in the 1950s, as stating: “Having no problems is the biggest problem of all.” Rather than view problems as detriments, Ohno viewed problems as “a kaizen (continuous improvement) opportunity in disguise.” For the second half of the 20th century, Toyota’s staff, processes, and (arguably) innovation stemmed from the organization’s ability to systematically explore problems until the root cause was identified, a revelation that was visible following the conclusion of the Five Whys exercise. Go back to your original dilemma. Did the Five Whys application help you gain any greater clarity or assist with the identification of the root cause? If not, try it again…and truly visualize all factors that play a role in every response. As odd as it sounds, I’ve found it strangely helpful to imagine an elevator descending and stopping on every floor. Imagine that each floor is a step in the Five Whys process, and the root cause is a fact-driven realization that lies beneath discernable data and symptomatic reactions. 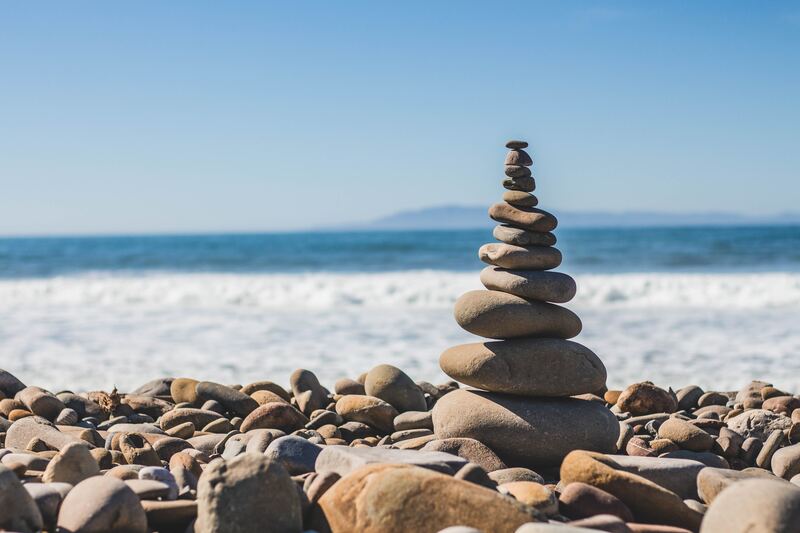 Now while it’s true the Five Whys is applicable in both personal and professional settings, it can be slightly more difficult to identify a root cause when personal struggles are fueled by emotion. Feelings often have a way of defying common sense and objectivity, but this technique can help you identify the root of the matter down to your core- it may just take a little practice. I applied this framework a few months ago after what seemingly felt like I was perpetually late to every engagement. “Why am I always late?” I fail to be ready on time. I like to push it to the limit and procrastinate until the last possible second. “Why do I feel the need to always procrastinate?” I believe this technique has worked well for me in the past. I believe the “rush” leads to greater results. “Why would I need to be stressed for time to see good results?”Because if something goes wrong, I can blame it on a lack of time. “Why would I anticipate something going wrong?” I view this as a defense mechanism to anticipate failure. “What’s wrong with failure?” I’m terrified of failure, and I’ve historically viewed procrastination as a scapegoat for this fear. Try this out and see how it lands with you. Keep the Five Whys technique in your back pocket and use it as an exploratory problem-solving tool. We are in a perpetual state of learning. Don’t view problems as failures, but rather as data points for continuous improvement. Different “whys” can lead down multiple paths, and that’s ok. Some problems have multiple root causes, and all must be addressed before the problem is resolved. However, all problems will have at LEAST one root cause — start there. Practice makes perfect. Start with unambiguous problems and exercise radical candor to uncover what lies beneath the symptoms. Once the root cause has been identified, identify recommendations and develop an action plan to tackle and overcome the newly uncovered challenges. Monica Chinisaz is a technology consultant and writer who consolidates research and business principles from IT project management, agile software development, and cybersecurity risk management to optimize corporate performance, boost personal productivity, and drive social change.